Reproducing Copying all or selected information from one deck of cards to another deck of cards, possibly rearranging the fields. Gang Punching Copying information from one input card to many output cards. 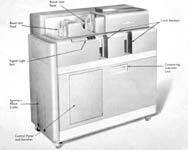 End Printing For example, of sequence numbers. 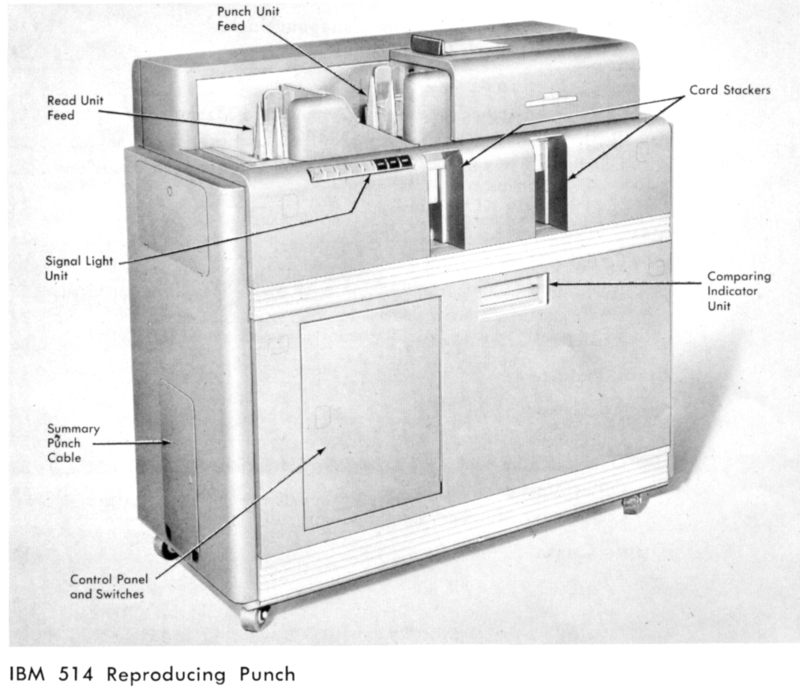 Verification Of reproducing and gang punching results. 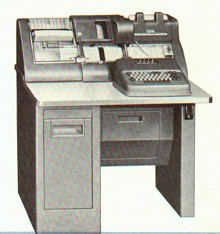 Summary Punching Punching into a total or new balance card sums accumulated in an attached accounting machine such as the 402 (shown below) or 405. Mark Sensing Reading pencil marks from IBM cards and translating them into punches (optional feature). 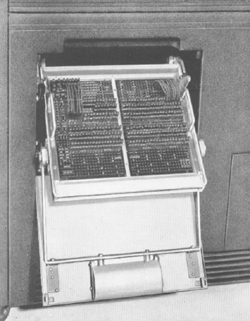 Result decks did not have holes interpreted by printed characters across the top; that was the work of another machine called an Interpreter. 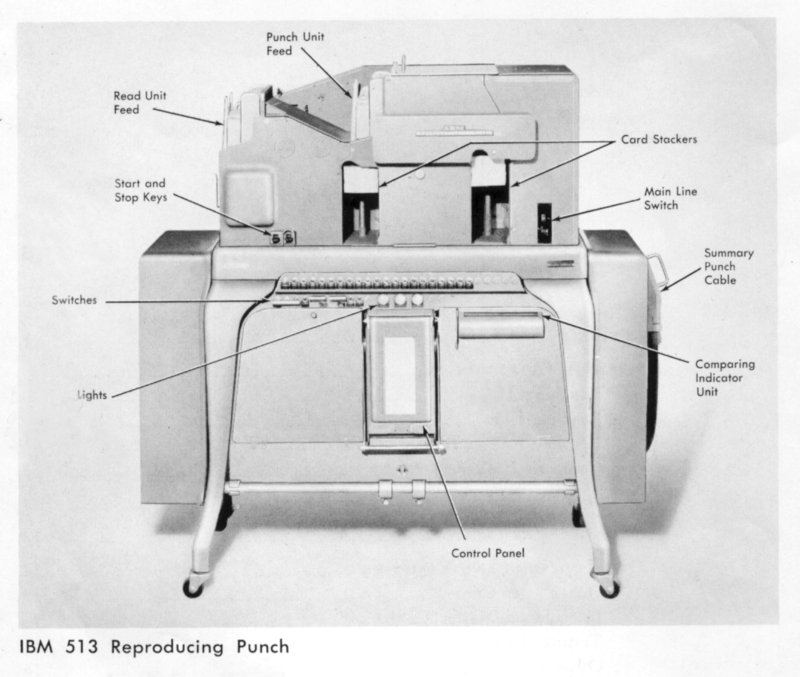 All operations in the 513, 514, and 519 except summary punching are performed at 100 cards per minute. 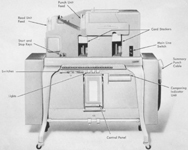 The 526 is a unique hybrid: it's an 026 Card Punch and Summary Punch and Interpreter combined. 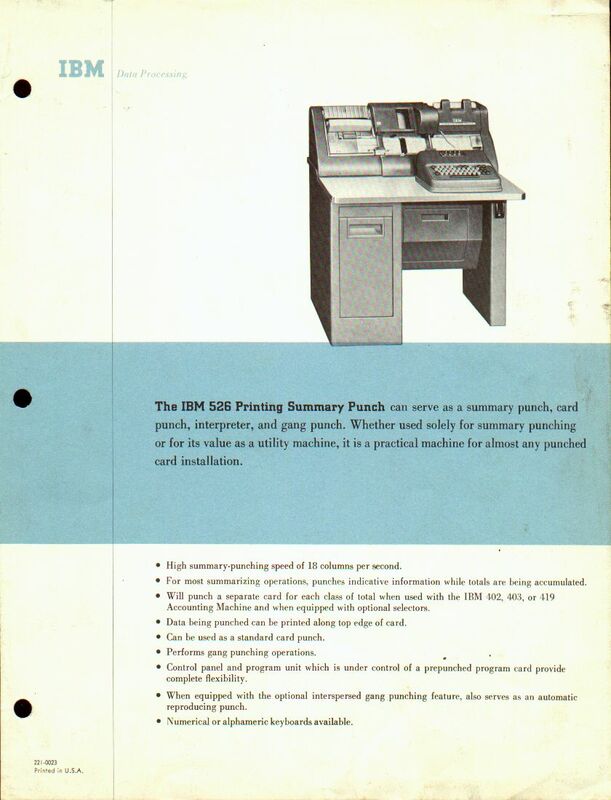 It's slower than a dedicated Summary Punch (18 columns per second = 15 cards per minute) but it prints as it punches and it doubles as a key punch. 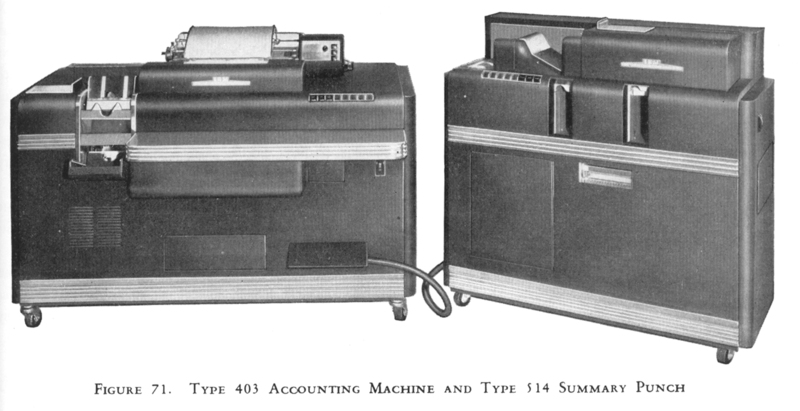 IBM 513, 514 Reproducing Punches, Reference Manual , International Business Machines Corporation, Form A24-1002-1 (1945) and later editions (1958, 1959). 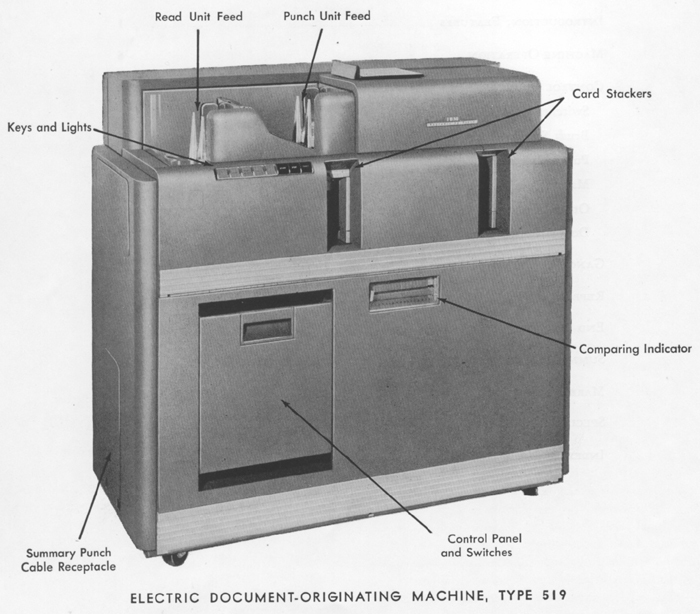 IBM Electric Document-Originating Machine, Type 519, Principles of Operation , International Business Machines Corporation, 590 Madison Avenue, New York 22, New York, Form 22-3292-5 (1946). 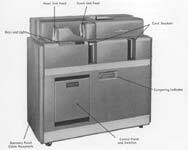 Also See: Tabulators, Sorters, Key Punches, Collators, Interpreters, Calculators.